Hello again stamping friend! I hope you had a great weekend; we enjoyed some decent weather, and a nice Father’s Day. 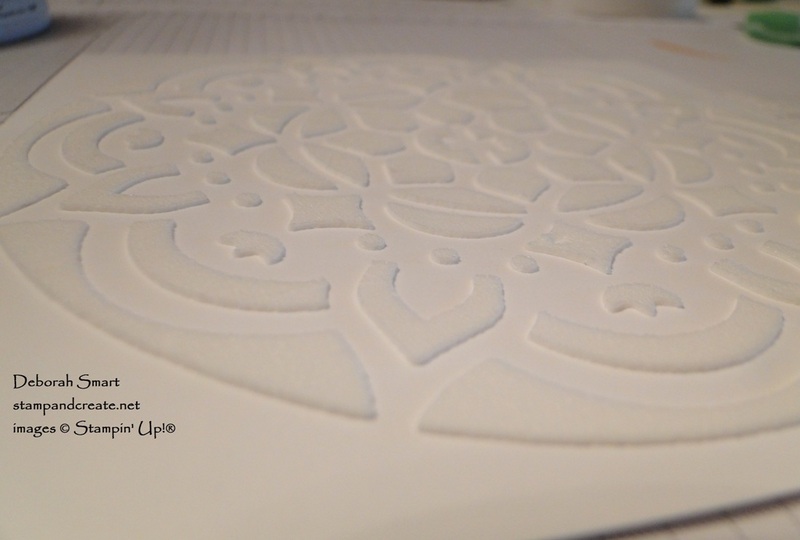 Today I’ve been playing with the new, best thing since sliced bread in the catalogue – the new Embossing Paste! When I first found out that Stampin’ Up! was going to carry embossing paste in this new catalogue, you could probably hear my screams of joy! 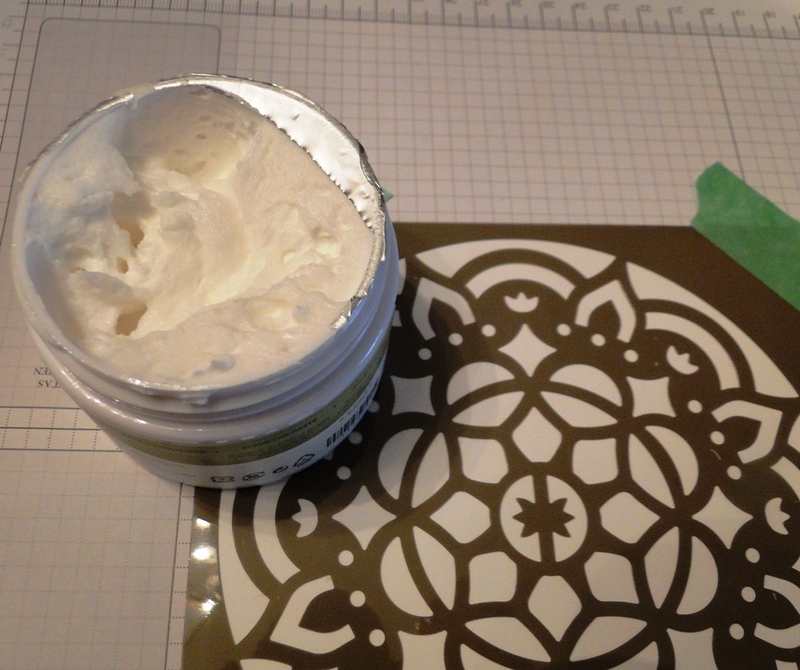 I admit it – I have in the past purchased embossing paste from a different supplier; simply because we didn’t carry it. But, I chose not to share it here because – well, because you couldn’t order it from me! What fun is it to see something you want, only to find out you can’t get it? None! But now – that’s all changed, and you can have fun creating with the new Embossing Paste! What is the New Embossing Paste? Embossing paste is a light, malleable material that you use to create texture and depth on your projects. You spread it onto your project with a palette knife. It can be used as is, in it’s white colour, or you can add re-inker to add colour. It dries very quickly, which is great for your projects. On the other hand, it means that you have to be very quick to clean up your tools, for easy clean up. Just warm water and a little bit of soap is all you need. Stampin’ Up! also carries the Palette Knives for applying the Embossing Paste. They come in a 3 pack; 1 offset trowel, 1 offset diamond, and 1 scotty knife. You can also use the Pattern Party Decorative Masks to create a pattern with your Embossing Paste, as well as using them to apply patterns using Sponge Daubers or Spritzers. The best way to add colour to your Embossing Paste, is to put a dollop of paste onto your Silicone Craft Sheet, add a drop of reinker one drop at a time (to determine how dark you want the paste), then use a palette knife to mix it in. 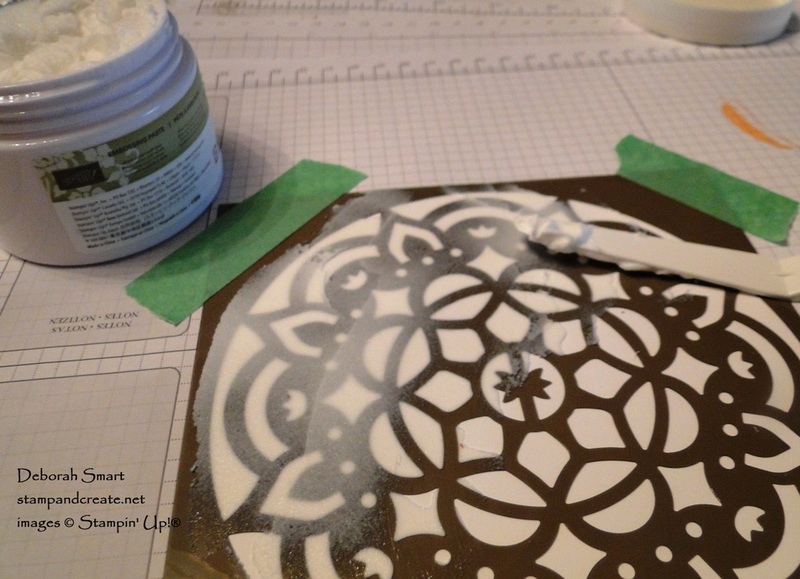 Here are some pictures of me using the Embossing Paste and one of the Pattern Party Decorative Masks. I used the offset Palette Knife to apply the paste. I had cut my Whisper White cardstock to 6″ x 6″, and used painter’s tape to hold the mask and cardstock in place while applying the paste. 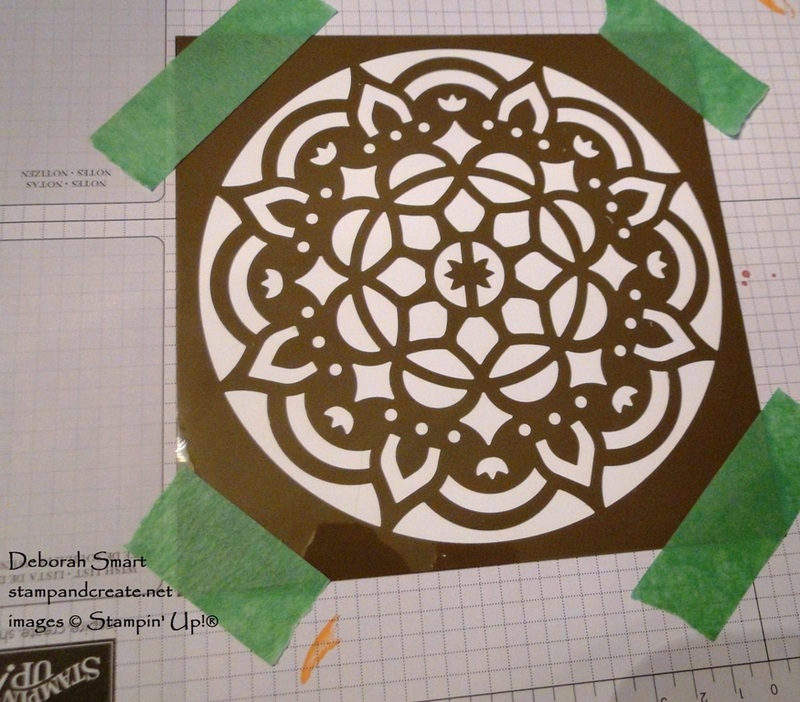 I taped down the cardstock and mask to my work surface, to keep it in place while I applied the embossing paste. You can see that the embossing paste is quite light & fluffy looking in the jar. 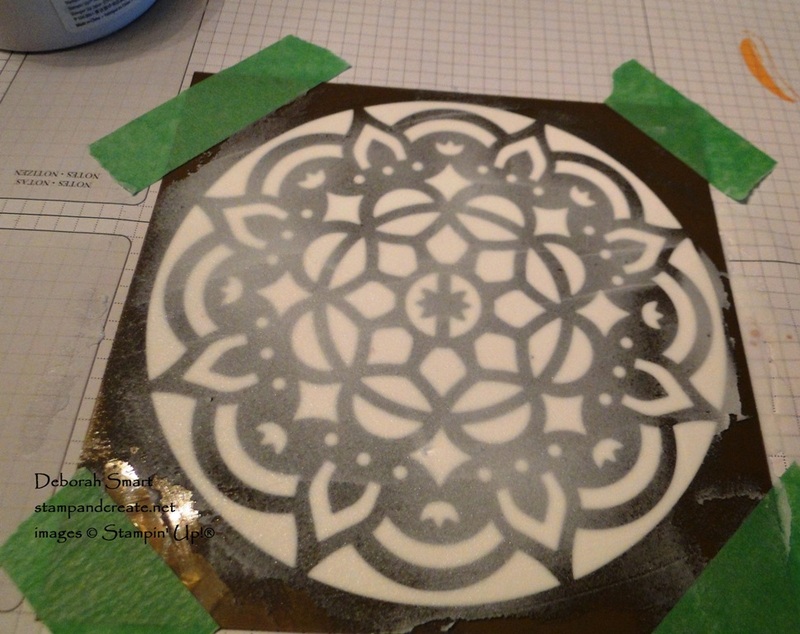 The embossing paste is easy to apply. Just take a bit onto your palette knife, then drag is slightly on an angle across the decorative mask. Cover as much of the mask as you want. I covered the entire mask for this design. Lift the mask off gently, removing it from one side upwards, towards the other side. 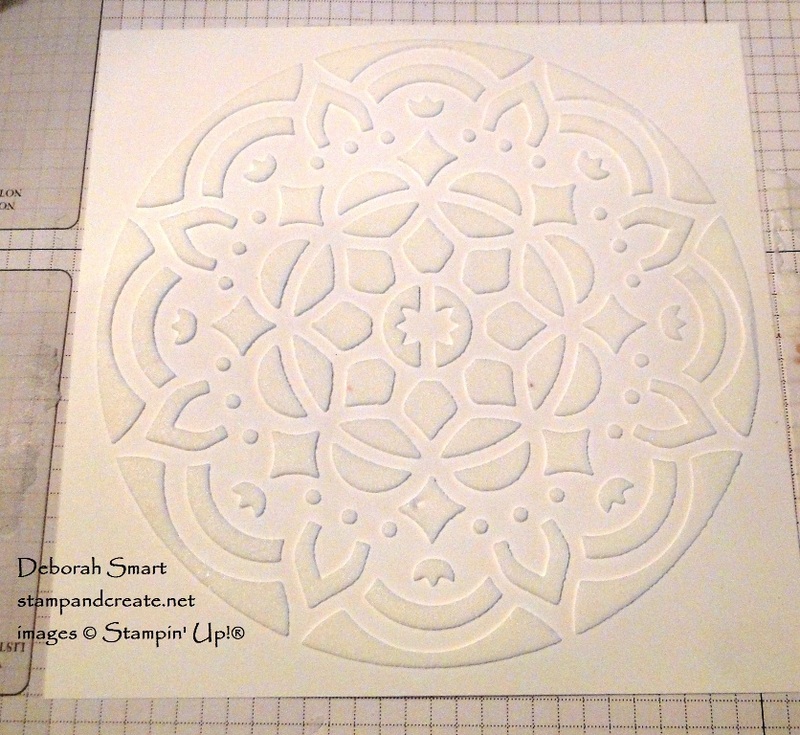 This design, with the white-on-white, reminds me of gorgeous patterns in the snow! Just click on the images below to order your own supplies! Trust me – you WANT this! It is so easy and fun to use 🙂 I’ll be posting a card on Wednesday for the Paper Craft Crew Design Team, which features the Embossing Paste. On that card, you’ll be able to see what it looks like coloured, as I used some reinker on that project. Next Next post: A Little, A Lot, or All of It?